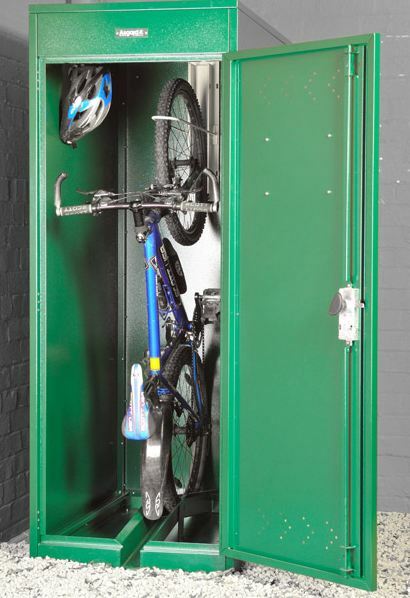 Our Vertical bicycle locker AS, is manufactured from robust and heavy duty materials. 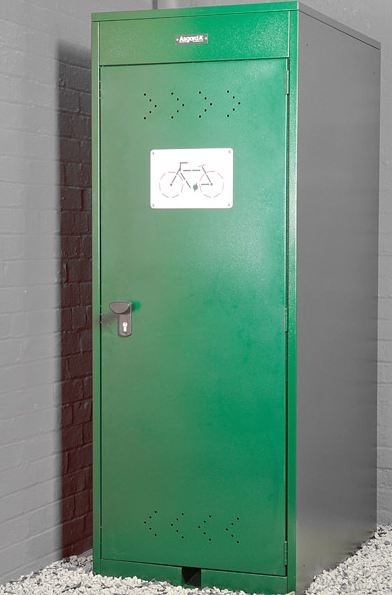 The key benefit of a vertical bicycle locker such as this, is space and security. Price includes FREE delivery to England and Wales. 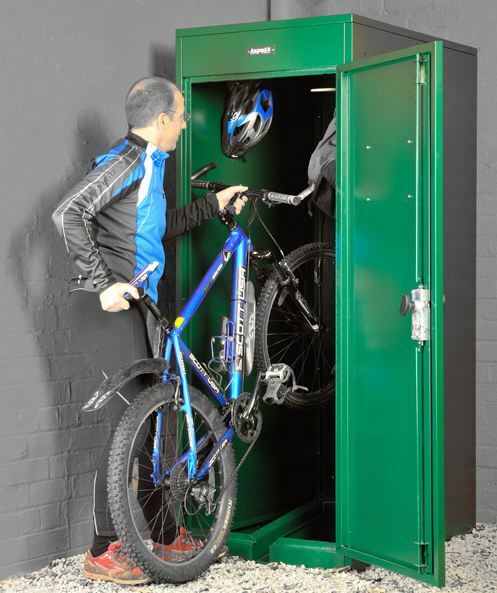 Lead time 2-3 weeks – For quantities over 3 lockers call for a discount. 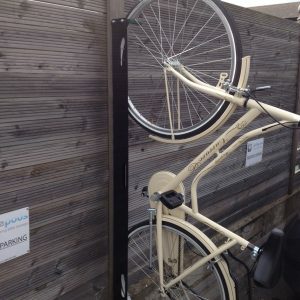 Inside the thick, weatherproof all steel unit is an easy access guide ramp and a wheel retaining clamp. Simply open the heavy duty door. 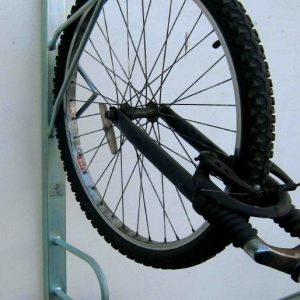 Then lift and push the bike into the wide guide rail. When the bike hits the back, the wheel retainer drops down and clamps the bike into place. 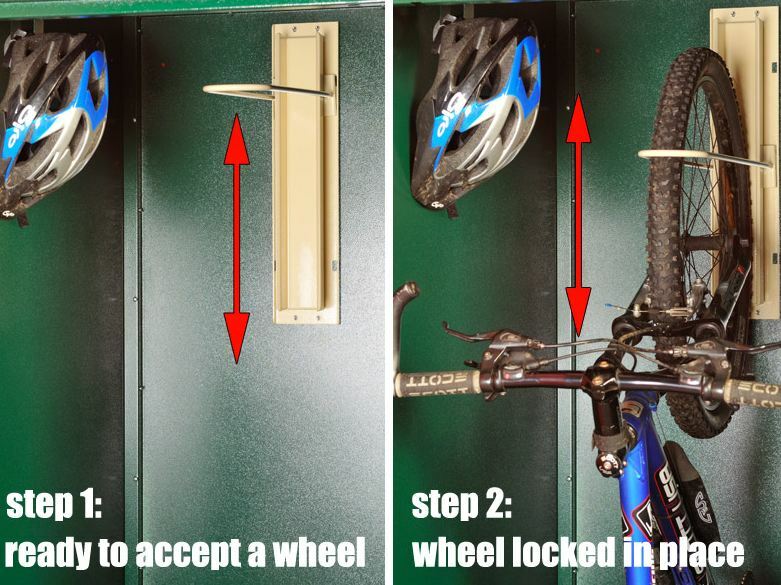 Hang your helmet and bags on the hooks inside, Close and lock the tough pick resistant lock. Easy! 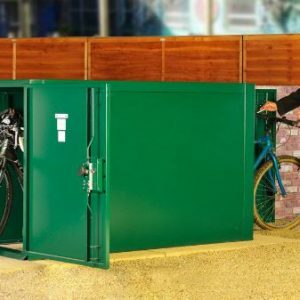 British made Bike Locker from strong, galvanised (weather proof) steel. 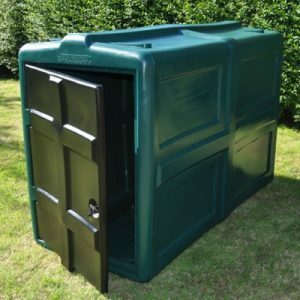 At 132kg in weight (that’s over 20 stone) this is a serious heavy weight unit suitable for use in both private and public areas. Perfect for small areas with little floor space – use inside or out.  Supplied with a comprehensive 10 Year Warranty – our units are built to last. Fitted with our tough, pick resistant bike locker 3 point locking system. 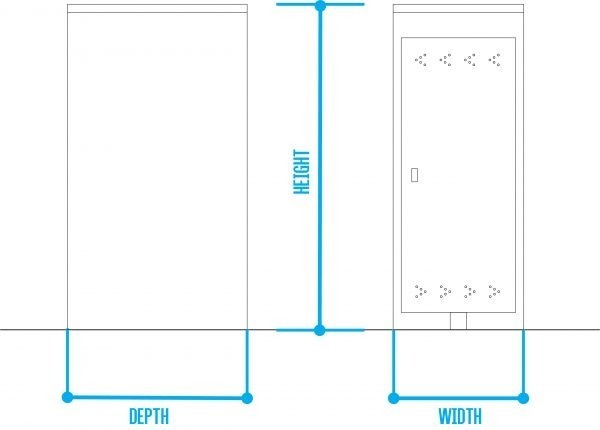 Large door – making it easy to wheel your bike in and out. 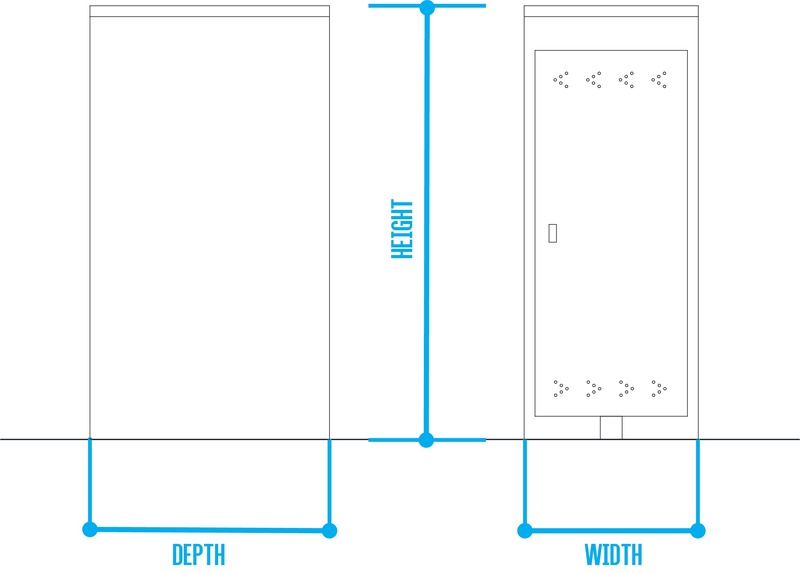 Integral all metal floor – for strength and security. 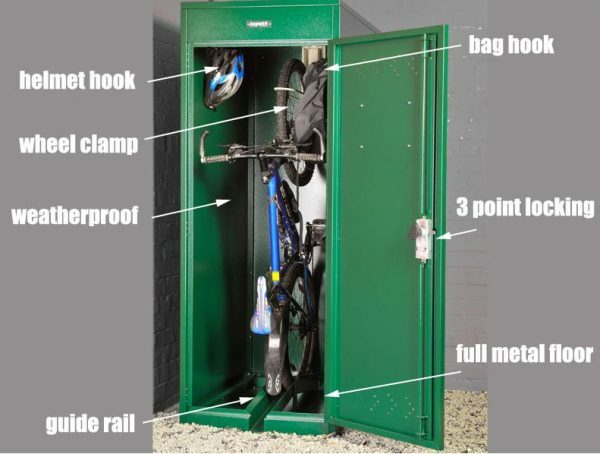 Includes 2 x kit hooks – hang helmets and bags with your bikes. 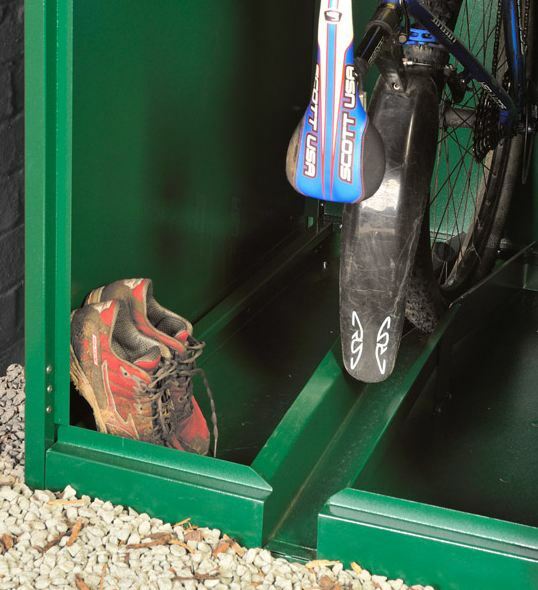 Space for cycle shoes and accessories – versatile bike storage. Self assembly option using the easy to follow illustrated instructions.